HAVING graduated from Melbourne's rehab group following off-season ankle surgery, defender Marty Hore is hoping to give himself the best shot at breaking into the club's round one side. Hore is back in full training and doing his best to make up for the time he lost before Christmas when he was on a modified program for an operation on his ankle that he has required for the last three years. The 22-year-old recruit was back training with the main group before the players' broke up for Christmas and continued that momentum by completing the full training regime in the time away from the club. "I did plenty of rehab so the ankle feels 100 per cent now," Hore told AFL.com.au. "I'm really happy with how it's gone. It's troubled me a little bit over the last few years, so getting that right should free it up a fair bit." Hore explained the surgery was necessary after having continually put it off, wanting to make sure that he could test at the NAB AFL Draft Combine last October to give himself the best opportunity to be drafted. The Demons selected Hore with pick No.56 in last year's draft following two consistent seasons with Collingwood's VFL side. "I was always going to try to get it (the surgery) done after the season, because I had a bit of trouble with it through the year and had to have a few cortisones (injections) in the ankle to get through games," Hore said. "I'd battled on with it for the last three seasons and the last few breaks didn't quite work out because I had the Combine and I wanted to test there. It's good to get it sorted now." Along with mature-age Gold Coast draftee Sam Collins, Hore was the pick of the defenders in the VFL last season. He won Collingwood's VFL best and fairest award in 2017 and backed it up again in 2018, with his ability to intercept mark the feature of his game. Although Hore's only had limited exposure in main training so far this year, the 189cm defender's ability to cover space effectively in defensive drills has stood out. He's hopeful his interrupted pre-season won't prevent him from being in the frame for the JLT Community Series starting in early March. "I hope it doesn't affect me too much, but I don't really know to be honest," Hore said. "If I can play some good games early on then hopefully I get an opportunity (at senior level)." 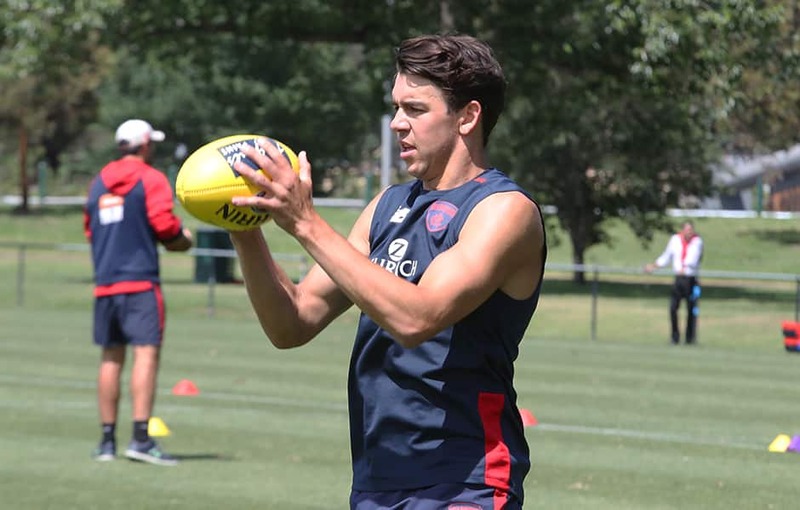 Hore has been working closely with Jake Lever (when he was in rehab), Jordan Lewis and Michael Hibberd, who have all been teaching him the ropes. "You work hard on your strengths, so I'm doing a fair bit of kicking and stuff on my defensive craft with those guys," Hore said. "Hopefully I can get a really good block of training in, and I should go to the Maroochydore camp pretty fit and get to know the game-plan a lot better, so if get that all down pat I'll hopefully see some games early."